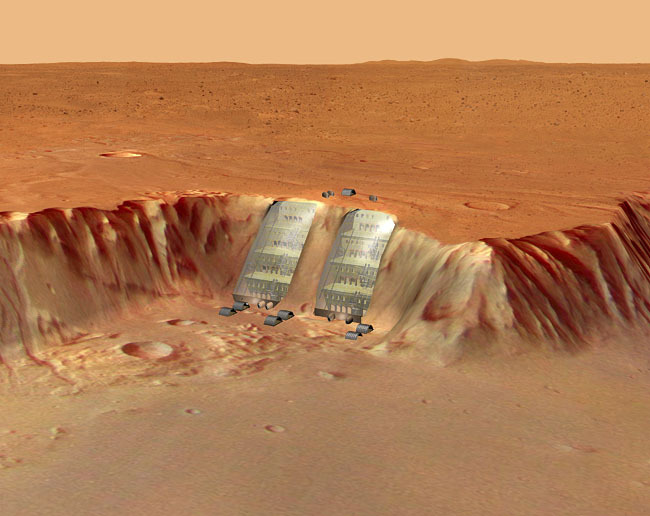 Description: Settlement on Mars: Terraces excavated in a cliff slope function as living spaces in the Martian base. It is covered by transparent seal. The open plan under the seal is divided into several levels and on each level the masonry structures are built. The bricks used are from local materials. The base expands beneath the soil surface into the cliff.